How Triage Nurses Evaluate Patients for Otits Media/Ear Infection? Nurse Toolbox: How Can Triage Nurses Evaluate Patients for Otitis Media/ Ear Infection? About 90 percent of children are diagnosed with at least one ear infection. Triage nurses need to know how to effectively assess the patient through a distraught parent. Ear infections are the most common bacterial infection in children and peak between ages 6 months to 2 years. Communication is very difficult with children in this age group, therefore triage nurses must be prepared to ask the right questions as the patient cannot verbally express their condition. Parents that call a triage nurse when their child has ear pain can be frustrated and anxious. They don’t like seeing their child in pain and are afraid that waiting will cause hearing damage. A seasoned triage nurse will be both empathetic and reassuring to these callers. Letting the parent talk about their concerns will reduce their stress level. What is Otitis Media: An infection of the ear caused by either bacteria or a virus. Who is at risk: Anyone can suffer from an ear infection; however young children under 3 years old are most at risk. This is due to the shape of their eustachian tubes, which are shorter and more horizontal than in an adult ear, making it tough for fluid to drain out of the ear. Moreover, because a child’s immune system is still developing, it is more difficult to fight off the infection. Cause: The middle ear is a small space behind the eardrum that is supposed to be well ventilated by the air that normally passes up from behind the nose, through the eustachian tube, keeping the middle ear clean and dry. When there is not enough fresh air ventilating the middle ear, such as when the eustachian tube is clogged or blocked, the area becomes damp, stagnant, and warm, a perfect breeding ground for germs. Ear infections often peak on day three of a cold, influenza or other respiratory infections. Allergies, sinus infections and adenoid problems can also interfere with the eustachian tubes ability to let air pass into the middle ear, making conditions favorable for ear infections. 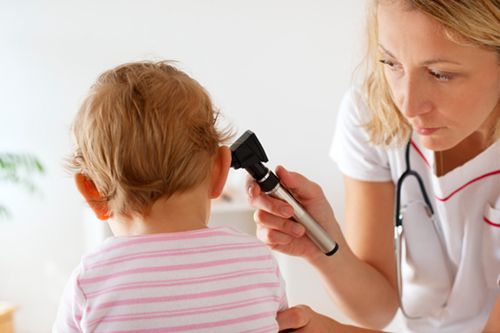 Symptoms: Though the child cannot tell their parent or triage nurse that they have an earache, there are clear signs that can help assess the patient and the level of urgency of care that needs to be given. How is it diagnosed: The only way to know for sure if the child has an ear infection is for a doctor to check inside their ear. There are several devices that can be used. Traditionally, an otoscope is the first instrument used to look in the patient’s ear. A doctor can also use a pneumatic otoscope, which blows a puff of air into the ear canal, or a tympanometer, which uses sound tones and air pressure, to check for fluid behind the eardrum. Complications: Though long-term complications are rare, there are some that can result from frequent or persistent infections. Tympanic Membrane Perforation, or a tear in the tissue, can lead to hearing loss if it does not heal. Mastoiditis can result from the infection spreading to the mastoid, leading to cysts. If the infection spreads to the inner ear, Labyrinthitis may cause vertigo or hearing loss. In very rare cases, Bell’s palsy bacterial meningitis may result as a complication of an ear infection. Treatment: The nurse should reassure the caller that many times the ear pain will get better without treatment, especially if it is part of a viral illness. Additionally, many doctors have adopted the “wait and see” approach to ear pain. To make the patient more comfortable, warm compresses, Tylenol or Ibuprofen can be given. Children tend to sleep more comfortably when propped up because when flat, the pressure from the fluid in the middle ear can push on the eardrum which can be painful. 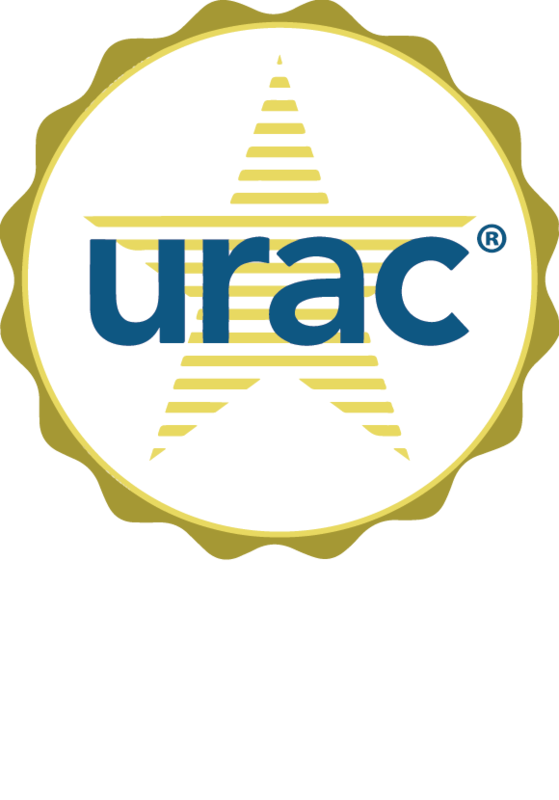 The caller should be informed of what symptoms to call back for, such as pain that is not controlled with OTC pain relievers, high fevers, redness or swelling behind the ear accompanied with a fever, or for any symptoms that are worsening after trying home care measures. If the symptoms persist, antibiotics will most likely be prescribed. Antibiotic treatment will generally be seven to 10 days. It is very important that the patient continues to take the medication through the entire time period to avoid the infection coming back.